Chapter 97 - Workers' Compensation Act. Article 1 - Workers' Compensation Act. § 97-1.1. References to workmen's compensation. § 97-3. Presumption that all employers and employees have come under provisions of Article. § 97-4: Repealed by Session Laws 1973, c. 1291, s. 2. § 97-5. Presumption as to contract of service. § 97-5.1. Presumption that taxicab drivers are independent contractors. § 97-6. No special contract can relieve an employer of obligations. § 97-6.1: Repealed by 1991 (Regular Session, 1992), c. 1021, s. 4. § 97-7. State or subdivision and employees thereof. § 97-8. Prior injuries and deaths unaffected. § 97-9. Employer to secure payment of compensation. § 97-10. Repealed by Session Laws 1959, c. 1324. § 97-10.1. Other rights and remedies against employer excluded. § 97-10.2. Rights under Article not affected by liability of third party; rights and remedies against third parties. § 97-10.3. Minors illegally employed. § 97-11. Employer not relieved of statutory duty. § 97-12. Use of intoxicant or controlled substance; willful neglect; willful disobedience of statutory duty, safety regulation or rule. § 97-12.1. Willful misrepresentation in applying for employment. § 97-13. Exceptions from provisions of Article. §§ 97-14 through 97-16. Repealed by Session Laws 1973, c. 1291, ss. 7-9. § 97-17. Settlements allowed in accordance with Article. § 97-18. Prompt payment of compensation required; installments; payment without prejudice; notice to Commission; penalties. § 97-18.1. Termination or suspension of compensation benefits. § 97-19. Liability of principal contractors; certificate that subcontractor has complied with law; right to recover compensation of those who would have been liable; order of liability. § 97-19.1. Truck, tractor, or truck tractor trailer driver's status as employee or independent contractor. § 97-20. Priority of compensation claims against assets of employer. § 97-21. Claims unassignable and exempt from taxes and debts; agreement of employee to contribute to premium or waive right to compensation void; unlawful deduction by employer. § 97-22. Notice of accident to employer. § 97-23. What notice is to contain; defects no bar; notice personally or by registered letter or certified mail. § 97-24. Right to compensation barred after two years; destruction of records. § 97-25. Medical treatment and supplies. § 97-25.1. Limitation of duration of medical compensation. § 97-25.2. Managed care organizations. § 97-25.4. Utilization guidelines for medical treatment. § 97-25.5. Utilization guidelines for vocational and other rehabilitation. § 97-25.6. Reasonable access to medical information. § 97-26. Fees allowed for medical treatment; malpractice of physician. § 97-26.1. Fees for medical records and reports; expert witnesses; communications with health care providers. § 97-26.2. Reimbursement for prescription drugs, prescribed over-the-counter drugs, and professional pharmaceutical services. § 97-27. Medical examination; facts not privileged; refusal to be examined suspends compensation; other medical opinions; autopsy. § 97-28. Seven-day waiting period; exceptions. § 97-29. Rates and duration of compensation for total incapacity. § 97-29.1. Increase in payments in cases for total and permanent disability occurring prior to July 1, 1973. § 97-31. Schedule of injuries; rate and period of compensation. § 97-31.1. Effective date of legislative changes in benefits. § 97-32. Refusal of injured employee to accept suitable employment as suspending compensation. § 97-32.1. Trial return to work. § 97-33. Prorating in event of earlier disability or injury. § 97-34. Employee receiving an injury when being compensated for former injury. § 97-35. How compensation paid for two injuries; employer liable only for subsequent injury. § 97-36. Accidents taking place outside State; employees receiving compensation from another state. § 97-37. Where injured employee dies before total compensation is paid. § 97-38. Where death results proximately from compensable injury or occupational disease; dependents; burial expenses; compensation to aliens; election by partial dependents. § 97-39. Widow, widower, or child to be conclusively presumed to be dependent; other cases determined upon facts; division of death benefits among those wholly dependent; when division among partially dependent. § 97-40. Commutation and payment of compensation in absence of dependents; "next of kin" defined; commutation and distribution of compensation to partially dependent next of kin; payment in absence of both dependents and next of kin. § 97-40.1. Second Injury Fund. § 97-41. Repealed by Session Laws 1973, c. 1308, s. 5. § 97-42. Deduction of payments. § 97-42.1. Credit for unemployment benefits. § 97-43. Commission may prescribe monthly or quarterly payments. § 97-45. Reducing to judgment outstanding liability of insurance carriers withdrawing from State. § 97-46. Lump sum payments to trustee; receipt to discharge employer. § 97-47. Change of condition; modification of award. § 97-47.1. Payment without prejudice; limitations period. § 97-48. Receipts relieving employer; payment to minors; when payment of claims to dependents subsequent in right discharges employer. § 97-49. Benefits of mentally incompetent or minor employees under 18 may be paid to a trustee, etc. § 97-50. Limitation as against minors or mentally incompetent. § 97-51. Joint employment; liabilities. § 97-52. Occupational disease made compensable; "accident" defined. § 97-53. (See editor's note on condition precedent) Occupational diseases enumerated; when due to exposure to chemicals. § 97-56. Limitation on compensable diseases. § 97-58. Time limit for filing claims. § 97-59. Employer to pay for treatment. § 97-60: Repealed by Session Laws 2003-284, s. 10.33(a), effective July 1, 2003. § 97-61. Rewritten as §§ 97-61.1 to 97-61.7. § 97-61.1. First examination of and report on employee having asbestosis or silicosis. § 97-61.2. Filing of first report; right of hearing; effect of report as testimony. § 97-61.3. Second examination and report. § 97-61.4. Third examination and report. § 97-61.5. Hearing after first examination and report; removal of employee from hazardous occupation; compensation upon removal from hazardous occupation. § 97-61.6. Hearing after third examination and report; compensation for disability and death from asbestosis or silicosis. § 97-61.7. Waiver of right to compensation as alternative to forced change of occupation. § 97-62. "Silicosis" and "asbestosis" defined. § 97-63. Period necessary for employee to be exposed. § 97-64. General provisions of act to control as regards benefits. § 97-65. Reduction of rate where tuberculosis develops. § 97-66. Claim where benefits are discontinued. § 97-67. Postmortem examinations; notice to next of kin and insurance carrier. § 97-68. Controverted medical questions. § 97-69. Examination by advisory medical committee; inspection of medical reports. § 97-70. Report of committee to Industrial Commission. § 97-71. Filing report; right of hearing on report. § 97-72. Appointment of advisory medical committee; terms of office; duties and functions; salaries and expenses. § 97-74. Expense of hearings taxed as costs in compensation cases; fees collected directed to general fund. §§ 97-75, 97-76: Repealed by Session Laws 2003-284, s. 10.33(f), effective July 1, 2003. § 97-77.  North Carolina Industrial Commission created; members appointed by Governor; terms of office; chairman. § 97-78. Salaries and expenses; administrator, executive secretary, deputy commissioners, and other staff assistance; annual report. § 97-78.1. Standards of judicial conduct to apply to commissioners and deputy commissioners. § 97-79. Offices and supplies; deputies with power to subpoena witnesses and to take testimony; meetings; hearings. § 97-80. Rules and regulations; subpoena of witnesses; examination of books and records; depositions; costs. § 97-81. Blank forms and literature; statistics; safety provisions; accident reports; studies and investigations and recommendations to General Assembly; to cooperate with other agencies for prevention of injury. § 97-82. Memorandum of agreement between employer and employee to be submitted to Commission on prescribed forms for approval; direct payment as award. § 97-83. Commission is to make award after hearing. § 97-83.1. Facilities for hearings; security. § 97-84. Determination of disputes by Commission or deputy. § 97-85. Review of award. § 97-86. Award conclusive as to facts; appeal; certified questions of law. § 97-86.1. Payment of award pending appeal in certain cases. § 97-86.2. Interest on awards after hearing. § 97-87. Judgments on awards. § 97-88. Expenses of appeals brought by insurers. § 97-88.1. Attorney's fees at original hearing. § 97-88.2. Penalty for fraud. § 97-88.3. Penalty for health care providers. § 97-89. Commission may appoint qualified physician to make necessary examinations; expenses; fees. § 97-90. Legal and medical fees to be approved by Commission; misdemeanor to receive fees unapproved by Commission, or to solicit employment in adjusting claims; agreement for fee or compensation. § 97-90.1. Insurers that provide employee's health benefit plans, disability income plans, or any other health insurance plans as real parties in interest; reimbursement. § 97-91. Commission to determine all questions. § 97-92. Employer's record and report of accidents; records of Commission not open to public; supplementary report upon termination of disability; penalty for refusal to make report; when insurance carrier liable. § 97-93. Employers required to carry insurance or prove financial ability to pay for benefits; employers required to post notice; self-insured employers regulated by Commissioner of Insurance. § 97-94. Employers required to give proof that they have complied with preceding section; penalty for not keeping liability insured; review; liability for compensation; criminal penalties for failure to secure payment of compensation. § 97-95. Actions against employers failing to effect insurance or qualify as self-insurer. § 97-96: Repealed by Session Laws 1997-362, s. 7. § 97-97. Insurance policies must contain clause that notice to employer is notice to insurer, etc. § 97-98. Policy must contain agreement promptly to pay benefits; continuance of obligation of insurer in event of default. § 97-99. Law written into each insurance policy; form of policy to be approved by Commissioner of Insurance; single catastrophe hazards. § 97-100. Rates for insurance; carrier to make reports for determination of solvency; tax upon premium; wrongful or fraudulent representation of carrier punishable as misdemeanor; notices. § 97-101. Collection of fines and penalties. § 97-101.1. Commission may issue writs of habeas corpus. Article 2 - Compensation Rating and Inspection Bureau. §§ 97-102 through 97-104.6: Repealed by Session Laws 1977, c. 828, s. 8, as amended by Session Laws 1979, c. 824, s. 8. Article 3 - Security Funds. §§ 97-105 through 97-122: Repealed by Session Laws 1991 (Regular Session, 1992), c. 802, s. 12, as amended by Session Laws 1991 (Regular Session, 1992), c. 1030, s. 51.3. §§ 97-123 through 97-129. Reserved for future codification purposes. Article 4 - North Carolina Self-Insurance Security Association. § 97-132. Board of directors. § 97-133. Powers and duties of the Association. § 97-134. Plan of Operation. § 97-136. Powers and duties of the Commissioner. § 97-137. Examination of the Association. § 97-140. Nonduplication of recovery. § 97-141. Stay of proceedings. § 97-142. Disposition of assets upon dissolution. § 97-143. Use of deposits made by insolvent member self-insurers. §§ 97-144 through 97-164. Reserved for future codification purposes. Article 5 - Individual Employers. § 97-170. License applications; required information. § 97-177. License covering applicant and any subsidiary or applicant relying on a guarantor; procedure; requirements. § 97-180. Reporting and records. § 97-185. Deposits; surety bonds; letters of credit. § 97-195. Revocation, suspension or restriction of license. § 97-196. Civil penalties or restitution for violations; administrative procedure.